Find Druid Hills, GA Homes for sale. View Photos, Maps and MLS Data Now! Druid Hills - Next To Emory, Cdc, V-Highland & Morningside. MLS#8554978. Atl.Fine Homes Sotheby'S Int..
Druid Hills - Attached 2-Car Garage With Storage Shelving And Work Bench. MLS#8553352. Keller Williams Realty. Druid Hills - Truly Once In A Lifetime Opportunity For 1929 Historic Crown Jewel By Preeminent Pringle & Smith Architects, Ushered Into 21St Century By Expert Custom Builder Phillip Clark, In Tandem W/Linda Macarthur Architect; Timeless & Modern Simultaneously, Resplendent W/Original Architectural Details, Main Floor Delights W/Elegant Open Sun-Filled Rooms With High Ceilings-Foyer, Great Room, Dining & Kitchen; Master Level Is 1 Flight Up & Top Floor Offers 3 Ensuite Bedrooms; 1Bed/1Bath Carriage House; Walk-Out Terrace & Backyard; Entrancing Staircase; Olmsted Park In Your Front Yard MLS#6521085. Atlanta Fine Homes Sothebys International. Druid Hills - Truly Once In A Lifetime Opportunity For 1929 Historic Crown Jewel By Preeminent Pringle & Smith Architects, Ushered Into 21St Century By Expert Custom Builder Phillip Clark, In Tandem W/Linda Macarthur Architect; Timeless & Modern Simultaneously, Resplendent W/Original Architectural Details, Main Floor Delights W/Elegant Open Sun-Filled Rooms With High Ceilings - Foyer, Great Room, Dining & Kitchen; Master Level Is 1 Flight Up & Top Floor Offers 2 Ensuite Bedrooms; Carriage House Provides Auxiliary Living Space; Walk-Out Terrace & Backyard; Olmsted Park In Your Front Yard MLS#6521259. Atlanta Fine Homes Sothebys International. 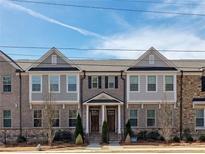 Druid Hills - Fantastic Family-Friendly Street In One Of Atlanta'S Best In-Town Neighborhoods. MLS#8543276. Listwithfreedom.Com Inc.
North Druid Hills - Lower Level Features Recreation Room Perfect For Media Room Or Playroom With Access To Lower Level Terrace, Guest Bedroom And Bath And Large Unfinished Basement Perfect For Storage Or Workshop. MLS#8540458. Compass. Large Deck On Rear. Lots Of Upgrades Through-Out. MLS#6513225. Remax Legends. 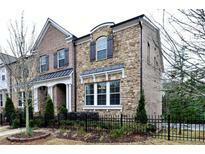 Druid Hills - Close To Plenty Of Shopping And Restaurants. MLS#6507164. Keller Williams Realty Metro Atl. Druid Hills - Tile Bathrooms And Laundry Room, Hardwood Floors On Main Level, Coat Valet At Owners Entry. 2 Car Garage . MLS#6125680. Re/Max Tru. Druid Hills - Tile Bathrooms And Laundry Room, Hardwood Floors On Main Level, Coat Valet At Owners Entry. 2 Car Garage . MLS#6125689. Re/Max Tru. Druid Hills - Tile Bathrooms And Laundry Room, Hardwood Floors On Main Level, Coat Valet At Owners Entry. 2 Car Garage . MLS#6125264. Re/Max Tru. Druid Hills - Tile Bathrooms And Laundry Room, Hardwood Floors On Main Level, Coat Valet At Owners Entry. 2 Car Garage . MLS#6125258. Re/Max Tru. Remarkably Quite - This Is Home Is A Must See! MLS#6125082. Atlanta Fine Homes Sothebys International. Druid Hills Emory Grove - Parking Pad Turnaround Ensures You Don'T Have To Back Onto N Decatur. Must See! MLS#8513204. Ansley Atlanta Real Estate. 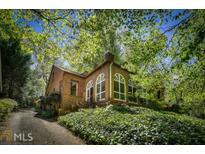 Druid Hills - Close To Emory/Cdc, Morningside & Virginia Highlands. MLS#8493042. Atlanta Communities. Back Porch Is Large And Inviting. MLS#8459692. Karafotias Realty Company. 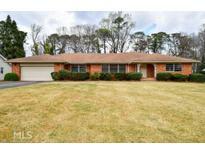 Druid Hills - Dual Master, Tile Bathrooms And Laundry Room, Hardwood Floors On Main Level, Coat Valet At Owners Entry. 2 Car Garage. MLS#6073402. Re/Max Tru. Druid Hills - Tile Bathrooms And Laundry Room, Hardwood Floors On Main Level, Coat Valet At Owners Entry. 2 Car Garage . MLS#6073439. Re/Max Tru. Druid Hills - Generous Sellers Incentive With Preferred Lender. MLS#6073423. Re/Max Tru. Druid Hills - Generous Sellers Incentive With Preferred Lender MLS#6073432. Re/Max Tru. 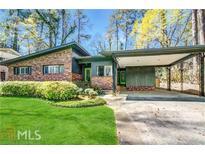 Druid Hills - We Are Looking To Close This Home On Or Before 3.29.19 Bring Offers Move-In Ready! MLS#5993992. Re/Max Tru.